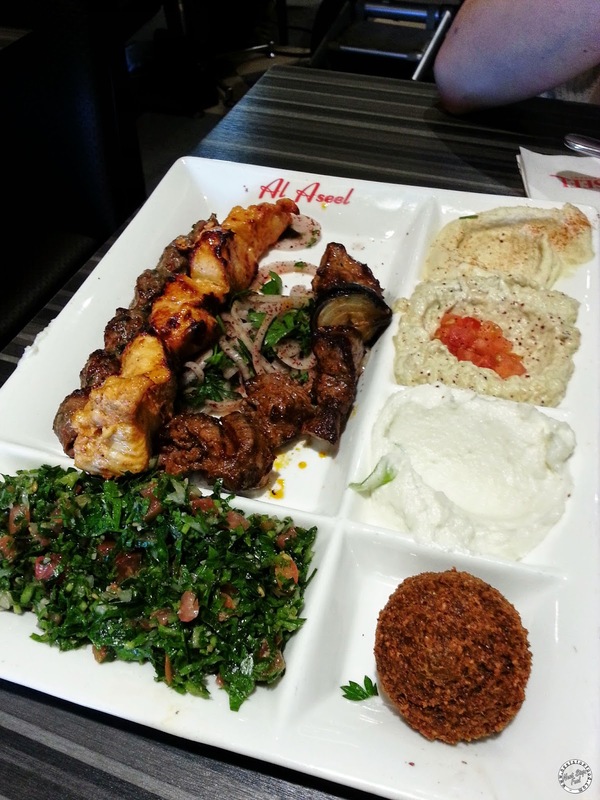 As we walked into Al Aseel, I noticed that nearly every table ordered a mixed plate so already gave myself a mental note to order it before I even sat down. I have 2nd thoughts when it comes to chicken breast, most of the time they turn out disappointingly dry. So Al Aseel's chicken breast was a pleasant surprise! They were sooooo tender and absolutely yummy. Loved the smokiness in the baba ganoush and the other dips were more-ish which all went well with the complementary lebanese bread. Fattoush! It's probably my fav lebanese salad because of its flavour. The balance of the dressing is perfect, its tang makes it super appetising. 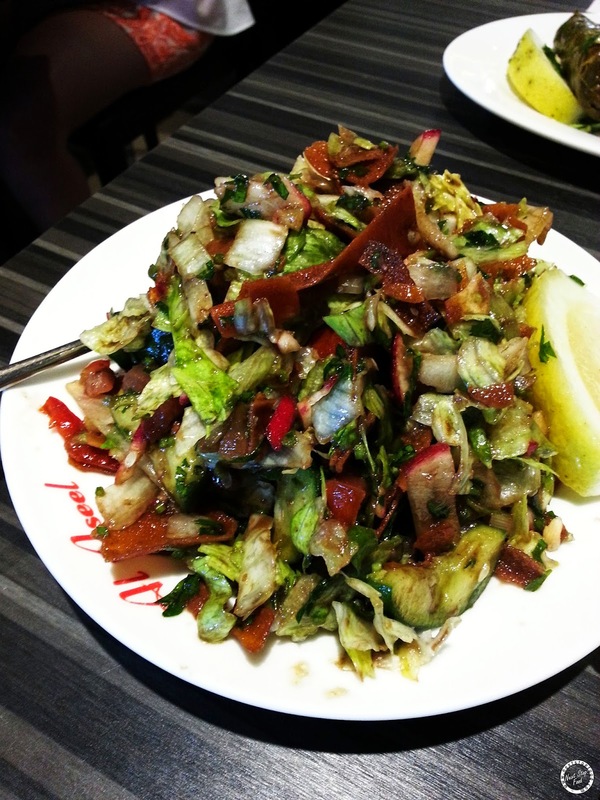 Another thing that I love about fattoush is the crunchy lebanese bread mixed inside the salad. Another tangy dish! I was introduced to this dish by a Greek ex colleague who used to have her own vine leaves growing along her fence and I've loved this dish ever since. So now, whenever I see it in restaurants, it's a must order. 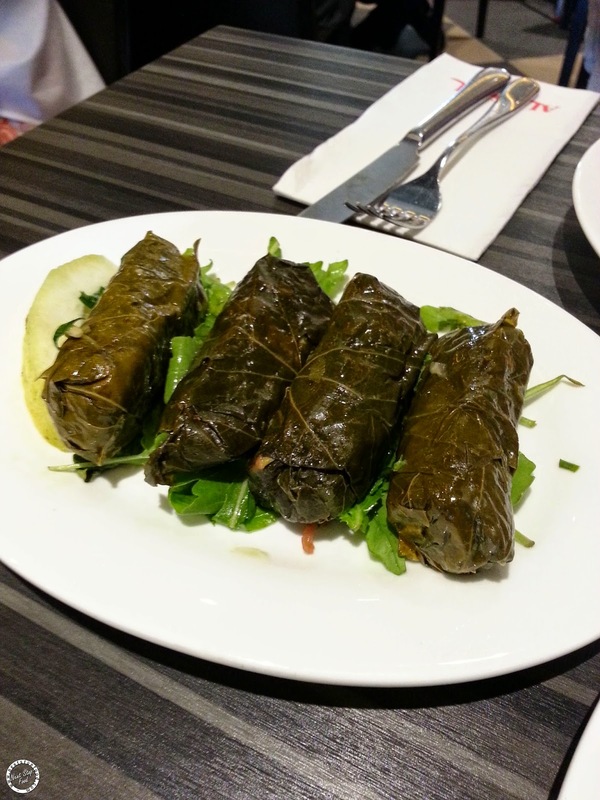 The rice inside the vine leaves was so deliciously flavoursome. We ordered this and asked for more yummy garlic sauce. Demolished most of it because of the sauce hehe. 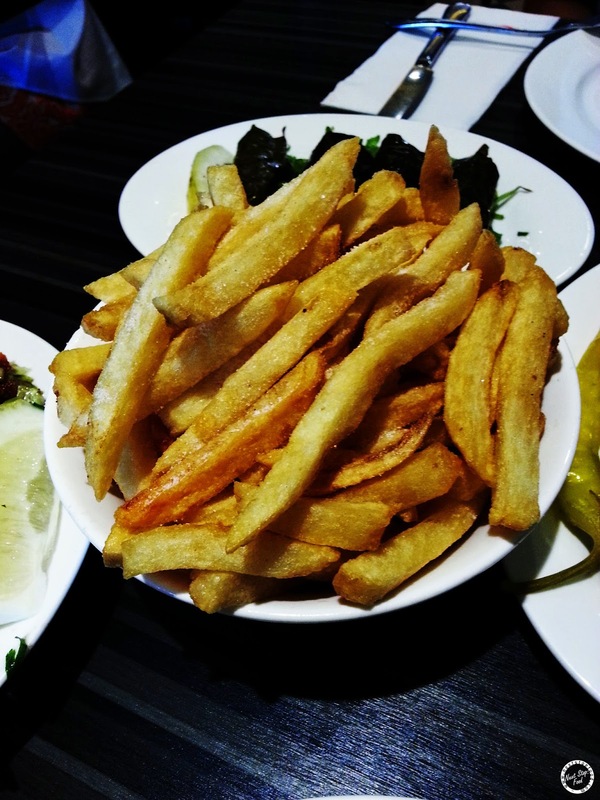 Al Aseel was packed with most customers being Lebanese so we knew it was going to be good! For those who doesn't live near the west, they have a shop in Newtown too! I would definitely come back here again just to have their skewers and fattoush. I love fattoush!!! I've heard goid things about Al Seel! Gotta check em out when I'm around Greenacre.